Fun Homeschool Mom Blog: White House Speaks Up For STEM: Are Homeschoolers Listening? White House Speaks Up For STEM: Are Homeschoolers Listening? I believe that as homeschoolers, it would be great for our children to be a part of creating the current and future technologies that have changed and are continuing to change our world. Some knowledge of STEM fields (Science, Technology, Engineering and Math) seem essential to this end. Whether your child's interest is in history or literature, healthcare or the arts, all fields are touched by and increasingly enmeshed with emerging forms of technology. For example, businesses of all types and sizes are reporting unprecedented increases in productivity that they attribute to the increase in tablet (iPad, etc.) use. I continue to ask the question of our family and other homeschooling families, are we adequately preparing our homeschooled children for the New Economy or are we continuing to teach as homeschoolers have since the rise of homeschooling in the United States since 1980's? Would someone who homeschooled in the 1980's notice any appreciable difference in how you home educate your child as compared to their curriculum and methods back then? I am linking below to an article and video featuring statements by some of our nation's top STEM high-school students. Share them with your family. May these inspire you and your children. 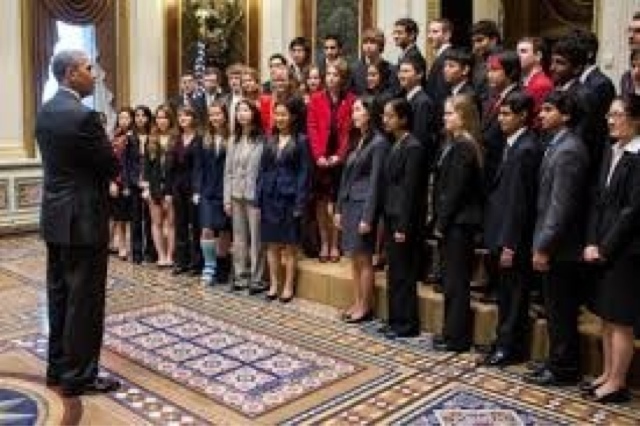 White House Blog Entry Featuring Award-Winning STEM students. An article highlighting statistics about needed STEM graduates.